This is brought to you by Phonics eStore, a global initiative for education of young children. Its focus is "Phonics" literacy. Note, we have an independent Phonics Associate program as well. Who can be a "Phonics Franchisee" ? Any individual can request to be an Associate. Even an organisation (including a play school) can request to be an Associate. Concerned individual(s) must be committed to conduct after school classes for children. How to become a Phonics Teacher - at a reasonable fee! What are the "Phonics Franchisee" fees and charges ? # "Start up - one time Phonics Franchisee fee"
# "Phonics Teacher Certificate Course fee"
The teacher(s) who teaches the children must have the certificate. Currently, 'annual fee' includes the cost of 2 teachers doing the concerned 'Certificate of Orientation' course. If more teachers have to do the course then fee for each additional teacher will apply. It is a one time amount to be paid upfront, online. It is applicable for a year only. It will change for each subsequent year. It is nil for the first year. Post that it will be decided on a case-to-case basis. We will have no commission or share in it in the first year. You will be free to decide the fees for regular as well as vacation classes. # "Book, Workbook, Flash cards & Video / Audio charges for students"
Parents have to pay for the 'Study Kit' online. "Study Kit" is available level-wise. # "Access charges for online classroom teaching resources"
# "Class & Teacher Listing (at our websites) charges"
It is nil for the first year. This will be done after your successful completion of the course, else not. We will list 'you as a Phonics teacher'. And we will also list 'your Phonics class'. You will also be listed as 'our Phonics Associate' after you provide a 'shopfront picture' as would be advised by us. The annual fee is nil in first year. We will create 'your webpage' at our website. It will have details as per our norms. It can have images and videos submitted by you. # "Vacation class - course/workbook design charges"
This will be done at a fee of Rs 9000 - to be paid online. This is optional for all. We will help you design vacation classes. Books / Workbooks specific to your course will be designed and available for online purchase by parents. Details with images can be put up at 'your webage'. Parents to pay. This is optional for all. individuals / organisations across locations. 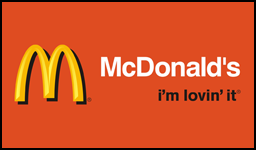 It is the only franchisee program of its kind in the world ! What you need to do next, to be a 'Phonics Franchisee' ? Write to us with 'your details', for consideration, and appropriate revert. Founder of Phonics eStore is the global team member of Phonics by Phone. 1st to make available Jolly Phonics Online course of Jolly Learning, in India. This became possible through an "affiliation" with CPD College, Ireland, UK. This was done at a special India price of Rs 3500 instead of Rs 9000. 1st to make available Audio Phonics course in India exclusive association with Educators International, UK. 1st to make available Phonics Training Online, a UK certificate course in India. This became possible through an "exclusive affiliation" with Phonics International, UK.This was done at a special India price of Rs 3800 instead of Rs 19,000. 1st to make available a FREE certificate Phonics Teacher Training course. Has association with international Phonics resource developers, namely Essential Skills of USA, Darlene Dittus of USA and Debbie Hepplewhite of UK. Has developed downloadable Phonics workbooks and worksheets free or at minimal price - for ALL across ALL countries. Most of the resources are made available for kids / teachers /tutors /schools / parents, at Phonics eStore free. Phonics eStore is committed to contribute towards 'Skill India', and make use of 'Digital India' and thus catalyse Phonics Learn-Teach set ups across India. You are welcome to be part of this 'Phonics' journey in India. certified* : Once we receive copy of Phonics teacher certificate we will revert, if same is acceptable to us or not. This is for the attention of all who wish to become a Phonics eStore franchisee across locations in India. This franchise program is for Phonics course for kids and Phonics course for teachers. You can send us details about yourself for consideration. Please mail us at contact@phonicsestore.com.. This will benefit all individuals, particularly ladies who are looking to start their own business with minimal investment - those who are willing to invest their attitude, passion and commitment for education of young children. Come become part of one of these educate India opportunities, Phonics Franchisee Program in Powai, Phonics Franchisee Program in Mumbai, Phonics Franchisee Program in Delhi, Phonics Franchisee Program in Phonics Franchisee Program in Bangalore, Phonics Franchisee Program in Chennai, Phonics Franchisee Program in Hyderabad, Phonics Franchisee Program in Secunderabad, Phonics Franchisee Program in Kolkata, Phonics Franchisee Program in Thane, Phonics Franchisee Program in Vashi, Phonics Franchisee Program in Gurgaon, Phonics Franchisee Program in Ahmedabad, Phonics Franchisee Program in Baroda, Phonics Franchisee Program in Coimbatore, Phonics Franchisee Program in Pune, Phonics Franchisee Program in Navi Mumbai, Phonics Franchisee Program in Mysore, Phonics Franchisee Program in Visakhapatnam, Phonics Franchisee Program in NOIDA, Phonics Franchisee Program in Chandigarh, Phonics Franchisee Program in Kochi, Phonics Franchisee Program in India, Phonics Franchisee Program in Ulhasnagar, Phonics Franchisee Program in Nagpur, Phonics Franchisee Program in Nashik, Phonics Franchisee Program in Kharghar, Phonics Franchisee Program in Panvel, Phonics Franchisee Program in Kalyan, Phonics Franchisee Program in Dombivli, Phonics Franchisee Program in Ambernath, Phonics Franchisee Program in Kalwa, Phonics Franchisee Program in Airoli, Phonics Franchisee Program in Dahisar, Phonics Franchisee Program in Vasai, Phonics Franchisee Program in Mira Road, Phonics Franchisee Program in Borivli, Phonics Franchisee Program in Kandivli, Phonics Franchisee Program in Chandivli, Phonics Franchisee Program in Jogeswari, Phonics Franchisee Program in Malad, Phonics Franchisee Program in Goregaon, Phonics Franchisee Program in Dindoshi, Phonics Franchisee Program in Airoli, Phonics Franchisee Program in Dahisar, Phonics Franchisee Program in Mulund, Phonics Franchisee Program in Ghodbunder road, Phonics Franchisee Program in Nerul, Phonics Franchisee Program in Santa Cruz, Phonics Franchisee Program in Bnadra, Phonics Franchisee Program in Khar, Phonics Franchisee Program in Vikhroli, Phonics Franchisee Program in Kanjurmarg, Phonics Franchisee Program in Bhandup, Phonics Franchisee Program in Kurla, Phonics Franchisee Program in Ghatkopar, Phonics Franchisee Program in Vidyavihar, Phonics Franchisee Program in Byculla, Phonics Franchisee Program in Wadala, Phonics Franchisee Program in Sion, Phonics Franchisee Program in Coalba, Phonics Franchisee Program inGirgaum, Phonics Franchisee Program in Cuffe Parade, Phonics Franchisee Program in Mahim, Phonics Franchisee Program in Worli, Phonics Franchisee Program in Tardeo, Phonics Franchisee Program in Kemps Corner, Phonics Franchisee Program in Mahalakshmi, Phonics Franchisee Program in Dadar, Phonics Franchisee Program in Parel, Phonics Franchisee Program in Lower Parel, Phonics Franchisee Program in Matunga, Phonics Franchisee Program in Sahar, Phonics Franchisee Program in Andheri, Phonics Franchisee Program in Juhu, Phonics Franchisee Program in vIle parel, Phonics Franchisee Program in Thane West, Phonics Franchisee Program in kalian, Phonics Franchisee Program in east, Phonics Franchisee Program in west, Phonics Franchisee Program in south, Phonics Franchisee Program in north, Phonics Franchisee Program in central, Phonics Franchisee Program in Pokhran Road no 2, Phonics Franchisee Program in Pokhran road, Phonics Franchisee Program in Hiranandani estate, Phonics Franchisee Program in vartak nagar, Phonics Franchisee Program in hiranandani meadows, Phonics kids, phonics for kids, phonics smart, phonics kingdowm, jolly phonics certified trainer, phonetics classes in, Phonics books, phonics workbooks, phonics worksheets, phonics videos, phonics songs, phonics youtube, phonics by phone, audio phonics course, phonics training online, phonics international, jolly learning online course, Phonics lessons, Phonics Franchisee Program in Guwahati, Phonics Franchisee Program in Kohima, Phonics Franchisee Program in Imphal, Phonics Franchisee Program in Aizawl, Phonics Franchisee Program in Agartala, Phonics Franchisee Program in Itanagar, Phonics Franchisee Program in Gangtok, Phonics Franchisee Program in Shillong, Phonics Franchisee Program in Silchar, Phonics Franchisee Program in Dibrugarh, Phonics Franchisee Program in Jorhat, Phonics Franchisee Program in Nagaon, Phonics Franchisee Program in Tinsukia, Phonics Franchisee Program in Tezpur, Phonics Franchisee Program in Bongaigaon, Phonics Franchisee Program in Digboi, Phonics Franchisee Program in Kokrajhar, Phonics Franchisee Program in Assam, Phonics Franchisee Program in Sikkim, Phonics Franchisee Program in Meghalaya, Phonics Franchisee Program in Arunachal Pradesh, Phonics Franchisee Program in Manipur, Phonics Franchisee Program in Shimla, Phonics Franchisee Program in Mnaali, Phonics Franchisee Program in Dharamshala, Phonics Franchisee Program in Kulu, Phonics Franchisee Program in Himachal Pradesh, Phonics Franchisee Program in Dehradun, Phonics Franchisee Program in Rudrapur, Phonics Franchisee Program in Nainital, Phonics Franchisee Program in Mussoorie, Phonics Franchisee Program in Roorkee, Phonics Franchisee Program in Haridwar, Phonics Franchisee Program in Haldwani, Phonics Franchisee Program in Almora, Phonics Franchisee Program in Uttarakhand, Phonics Franchisee Program in Bhopal, Phonics Franchisee Program in Raipur, Phonics Franchisee Program in Bhilai, Phonics Franchisee Program in Indore, Phonics Franchisee Program in Jabalpur, Phonics Franchisee Program in Gwalior, Phonics Franchisee Program in Durg, Phonics Franchisee Program in Ujjain, Phonics Franchisee Program in Ratlam, Phonics Franchisee Program in Sagar, Phonics Franchisee Program in Rewa, Phonics Franchisee Program in Dewas, Phonics Franchisee Program in Satna, Phonics Franchisee Program in Guna, Phonics Franchisee Program in Singrauli, Phonics Franchisee Program in Madhya Pradesh, Phonics Franchisee Program in Jaipur, Phonics Franchisee Program in Jodhpur, Phonics Franchisee Program in Udaipur, Phonics Franchisee Program in Jaisalmer, Phonics Franchisee Program in Ajmer, Phonics Franchisee Program in Tonk, Phonics Franchisee Program in Kota, Phonics Franchisee Program in Rajasthan, Phonics Franchisee Program in Asansol, Phonics Franchisee Program in Burdwan, Phonics Franchisee Program in Siliguri, Phonics Franchisee Program in Darjeeling, Phonics Franchisee Program in Durgapur, Phonics Franchisee Program in Howrah, Phonics Franchisee Program in Medinipur, Phonics Franchisee Program in Bardhaman, Phonics Franchisee Program in Jalpaiguri, Phonics Franchisee Program in Dankuni, Phonics Franchisee Program in Haldia, Phonics Franchisee Program in Kharagpur, Phonics Franchisee Program in West Bengal, Phonics Franchisee Program in Mangalore, Phonics Franchisee Program in Hubli, Phonics Franchisee Program in Udupi, Phonics Franchisee Program in Mandya, Phonics Franchisee Program in Whitefield, Phonics Franchisee Program in Indra Nagar, Phonics Franchisee Program in BTM Layout, Phonics Franchisee Program in Karnataka, Phonics Franchisee Program in Salem, Phonics Franchisee Program in Madurai, Phonics Franchisee Program in Kanyakumari, Phonics Franchisee Program in Tamil Nadu, Phonics Franchisee Program in Vadodara, Phonics Franchisee Program in Surat, Phonics Franchisee Program in Gandhinagar, Phonics Franchisee Program in Navsari, Phonics Franchisee Program in Anand, Phonics Franchisee Program in Gujarat, Phonics Franchisee Program in Bhubaneswar, Phonics Franchisee Program in Cuttack, Phonics Franchisee Program in Rourkela, Phonics Franchisee Program in Sambalpur, Phonics Franchisee Program in Berhampur, Phonics Franchisee Program in Talcher, Phonics Franchisee Program in Angul, Phonics Franchisee Program in Bhadrak, Phoncis class in Balasore, Phonics Franchisee Program in Puri, Phonics Franchisee Program in Baripada, Phonics Franchisee Program in Paradip, Phonics Franchisee Program in Barbil, Phonics Franchisee Program in Nayapally, Phonics Franchisee Program in Odisha, Phonics Franchisee Program in Patna, Phonics Franchisee Program in Gaya, Phonics Franchisee Program in Begusarai, Phonics Franchisee Program in Barauni, Phonics Franchisee Program in Darbhanga, Phonics Franchisee Program in Purnea, Phonics Franchisee Program in Bhagalpur, Phonics Franchisee Program in Bihar, Phonics Franchisee Program in Ranchi, Phonics Franchisee Program in Dhanbad, Phonics Franchisee Program in Hazaribagh, Phonics Franchisee Program in Bokaro, Phonics Franchisee Program in Sindri, Phonics Franchisee Program in Jamshedpur, Phonics Franchisee Program in Chas, Phonics Franchisee Program in Giridih, Phonics Franchisee Program in Deoghar, Phonics Franchisee Program in Jharia, Phonics Franchisee Program in Chasnala, Phonics Franchisee Program in Jharkhand, Phonics Franchisee Program in Vijayawada, Phonics Franchisee Program in Warangal, Phonics Franchisee Program in Andhra Pradesh, Phonics Franchisee Program in Cochin, Phonics Franchisee Program in Calicut, Phonics Franchisee Program in Trivandrum, Phonics Franchisee Program in Ernakulam, Phonics Franchisee Program in Alleppey, Phonics Franchisee Program in Trichur, Phonics Franchisee Program in Palghat, Phonics Franchisee Program in Kozhikode, Phonics Franchisee Program in Kerala, Phonics Franchisee Program in Faridabad, Phonics Franchisee Program in Panipat, Phonics Franchisee Program in Ambala, Phonics Franchisee Program in Amritsar, Phonics Franchisee Program in Rohtak, Phonics Franchisee Program in Panchkula, Phonics Franchisee Program in Faridabad, Phonics Franchisee Program in Manesar, Phonics Franchisee Program in Rewari, Phonics Franchisee Program in Haryana, Phonics Franchisee Program in Kanpur, Phonics Franchisee Program in Lucknow, Phonics Franchisee Program in Allahabad, Phonics Franchisee Program in Ghaziabad, Phonics Franchisee Program in Varanasi, Phonics Franchisee Program in Meerut, Phonics Franchisee Program in Agra, Phonics Franchisee Program in Mathura, Phonics Franchisee Program in Aligarh, Phonics Franchisee Program in Moradabad, Phonics Franchisee Program in Sonbhadra, Phonics Franchisee Program in Renukoot, Phonics Franchisee Program in Rampur, Phonics Franchisee Program in Hapur, Phonics Franchisee Program in Jhansi, Phonics Franchisee Program in Gorakhpur, Phonics Franchisee Program in Bareilly, Phonics Franchisee Program in Etawah, Phonics Franchisee Program in Uttar Pradesh, Phonics Franchisee Program in Panaji, Phonics Franchisee Program in Margao, Phonics Franchisee Program in Mapusa, Phonics Franchisee Program in Ponda, Phonics Franchisee Program in Vasco, Phonics Franchisee Program in Goa, Phonics Franchisee Program in Daman, Phonics Franchisee Program in Diu, Phonics Franchisee Program in Silvassa, Phonics Franchisee Program in Vapi, Phonics Franchisee Program in Vasai, Phonics Franchisee Program in Valsad, Phonics Franchisee Program in Puducherry, Phonics Franchisee Program in Pondicherry, Phonics Franchisee Program in Jammu, Phonics Franchisee Program in Srinagar, Phonics Franchisee Program in Katra, Phonics Franchisee Program in Leh, Phonics Franchisee Program in Ladakh, Phonics Franchisee Program in Katra, Phonics Franchisee Program in Kathmandu, Phonics Franchisee Program in Pokhara, Phonics Franchisee Program in Dhaka, Phonics Franchisee Program in Chittagong, Phonics Franchisee Program in Biratnagar, Phonics Franchisee Program in Birgunj, Phonics Franchisee Program in Dharan, Phonics Franchisee Program in Bharatpur, Phonics Franchisee Program in Janakpur, Phonics Franchisee Program in Nepal, Phonics Franchisee Program in Colaba, Phonics Franchisee Program in South Delhi, Phonics Franchisee Program in South Mumbai, Phonics Franchisee Program in Dadar, Phonics Franchisee Program in Bandra, Phonics Franchisee Program in Andheri, Phonics Franchisee Program in Borivli, Phonics Franchisee Program in Kandivli, Phonics Franchisee Program in Malad, Phonics Franchisee Program in Mira Road, Phonics Franchisee Program in Mulund, Phonics Franchisee Program in Bhandup, Phonics Franchisee Program in Kanjurmarg, Phonics Franchisee Program in Vikhroli, Ghatkopar, Phonics Franchisee Program in Kurla, Phonics Franchisee Program in Kharghar, Phonics Franchisee Program in Nerul, Phonics Franchisee Program in Panvel, Phonics Franchisee Program in Navi Mumbai, Phonics Franchisee Program in Vashi, Phonics Franchisee Program in Airoli, Phonics Franchisee Program in Chinchwad, Phonics Franchisee Program in Dombivli, Phonics Franchisee Program in Kalyan, Phonics Franchisee Program in Pimpri, Phonics Franchisee Program in Islamabad, Phonics Franchisee Program in Rawalpindi, Phonics Franchisee Program in Lahore, Phonics Franchisee Program in Karachi, Phonics Franchisee Program in Pakistan, Phonics Franchisee Program in Dubai, Phonics Franchisee Program in Cairo, Phonics Franchisee Program in Nairobi, Phonics Franchisee Program in Singapore, Phonics Franchisee Program in Jakarta, Phonics Franchisee Program in Manila, Phonics Franchisee Program in Metro Manila, Phonics Franchisee Program in Moscow, Phonics Franchisee Program in Shanghai, Phonics Franchisee Program in Beijing, Phonics Franchisee Program in Kuala Lumpur, Phonics Franchisee Program in Melbourne, Phonics Franchisee Program in London, Phonics Franchisee Program in Washington, Phonics Franchisee Program in Paris, Phonics Franchisee Program in Moscow, Phonics Franchisee Program in Glasgow, Phonics Franchisee Program in Cape Town, Phonics Franchisee Program in Colombo, Phonics Franchisee Program in Abu Dhabi, Phonics Franchisee Program in Seoul, Phonics Franchisee Program in Tokyo, Phonics Franchisee Program in Kabul, Phonics Franchisee Program in Algiers, Phonics Franchisee Program in Buenos Aires, Phonics Franchisee Program in Canberra, Phonics Franchisee Program in Vienna, Phonics Franchisee Program in Brussels, Phonics Franchisee Program in Thimphu, Phonics Franchisee Program in Brasilia, Phonics Franchisee Program in Phnom Penh, Phonics Franchisee Program in Santiago, Phonics Franchisee Program in Beijing, Phonics Franchisee Program in Havana, Phonics Franchisee Program in Prague, Phonics Franchisee Program in Copenhagen, Phonics Franchisee Program in Cairo, Phonics Franchisee Program in Paris, Phonics Franchisee Program in Helsinki, Phonics Franchisee Program in Berlin, Phonics Franchisee Program in Athens, Phonics Franchisee Program in Tehran, Phonics Franchisee Program in Baghdad, Phonics Franchisee Program in Dublin, Phonics Franchisee Program in Jerusalem, Phonics Franchisee Program in Rome, Phonics Franchisee Program in Nairobi, Phonics Franchisee Program in Kuwait city, Phonics Franchisee Program in Tripoli, Phonics Franchisee Program in Beirut, Phonics Franchisee Program in Male, Phonics Franchisee Program in Port Louis, Phonics Franchisee Program in Mexico city, Phonics Franchisee Program in Naypyidow, Phonics Franchisee Program in Windhoek, Phonics Franchisee Program in Amsterdam, Phonics Franchisee Program in Sydney, Phonics Franchisee Program in Melbourne, Phonics Franchisee Program in Wellington, Phonics Franchisee Program in Abuja, Phonics Franchisee Program in Pyongyang, Phonics Franchisee Program in Oslo, Phonics Franchisee Program in Muscat, Phonics Franchisee Program in Panama city, Phonics Franchisee Program in Lima, Phonics Franchisee Program in Warsaw, Phonics Franchisee Program in Lisbon, Phonics Franchisee Program in Doha, Phonics Franchisee Program in Bucharest, Phonics Franchisee Program in Riyadh, Phonics Franchisee Program in Singapore, Phonics Franchisee Program in Seoul, Phonics Franchisee Program in Sri Jayawardenepura Kotte, Phonics Franchisee Program in Khartoum, Phonics Franchisee Program in Stockholm, Phonics Franchisee Program in Bern, Phonics Franchisee Program in Damascus, Phonics Franchisee Program in Taipei, Phonics Franchisee Program in Dodoma, Phonics Franchisee Program in Bangkok, Phonics Franchisee Program in Ankara, Phonics Franchisee Program in Kampala, Phonics Franchisee Program in Sharjah, Phonics Franchisee Program in Kyiv, Phonics Franchisee Program in Abu Dhabi, Phonics Franchisee Program in Tashkent, Phonics Franchisee Program in Vatican city, Phonics Franchisee Program in Caracas, Phonics Franchisee Program in Hanoi, Phonics Franchisee Program in Sana'a, Phonics Franchisee Program in Lusaka, Phonics Franchisee Program in Harare. 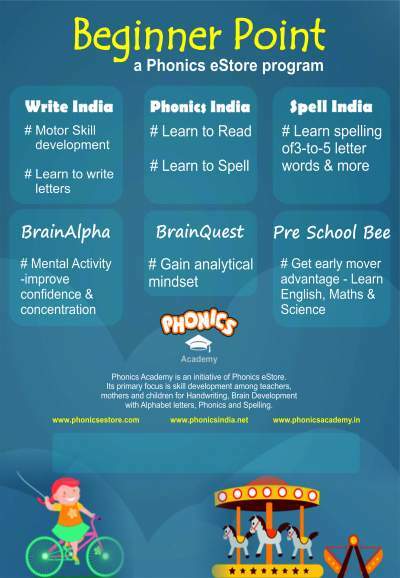 We plan to thus create jobs at Phonics Franchise in Powai, Phonics Franchise in Mumbai, Phonics Franchise in Delhi, Phonics Franchise in Phonics Franchise in Bangalore, Phonics Franchise in Chennai, Phonics Franchise in Hyderabad, Phonics Franchise in Secunderabad, Phonics Franchise in Kolkata, Phonics Franchise in Thane, Phonics Franchise in Vashi, Phonics Franchise in Gurgaon, Phonics Franchise in Ahmedabad, Phonics Franchise in Baroda, Phonics Franchise in Coimbatore, Phonics Franchise in Pune, Phonics Franchise in Navi Mumbai, Phonics Franchise in Mysore, Phonics Franchise in Visakhapatnam, Phonics Franchise in NOIDA, Phonics Franchise in Chandigarh, Phonics Franchise in Kochi, Phonics Franchise in India, Phonics Franchise in Ulhasnagar, Phonics Franchise in Nagpur, Phonics Franchise in Nashik, Phonics Franchise in Kharghar, Phonics Franchise in Panvel, Phonics Franchise in Kalyan, Phonics Franchise in Dombivli, Phonics Franchise in Ambernath, Phonics Franchise in Kalwa, Phonics Franchise in Airoli, Phonics Franchise in Dahisar, Phonics Franchise in Vasai, Phonics Franchise in Mira Road, Phonics Franchise in Borivli, Phonics Franchise in Kandivli, Phonics Franchise in Chandivli, Phonics Franchise in Jogeswari, Phonics Franchise in Malad, Phonics Franchise in Goregaon, Phonics Franchise in Dindoshi, Phonics Franchise in Airoli, Phonics Franchise in Dahisar, Phonics Franchise in Mulund, Phonics Franchise in Ghodbunder road, Phonics Franchise in Nerul, Phonics Franchise in Santa Cruz, Phonics Franchise in Bnadra, Phonics Franchise in Khar, Phonics Franchise in Vikhroli, Phonics Franchise in Kanjurmarg, Phonics Franchise in Bhandup, Phonics Franchise in Kurla, Phonics Franchise in Ghatkopar, Phonics Franchise in Vidyavihar, Phonics Franchise in Byculla, Phonics Franchise in Wadala, Phonics Franchise in Sion, Phonics Franchise in Coalba, Phonics Franchise inGirgaum, Phonics Franchise in Cuffe Parade, Phonics Franchise in Mahim, Phonics Franchise in Worli, Phonics Franchise in Tardeo, Phonics Franchise in Kemps Corner, Phonics Franchise in Mahalakshmi, Phonics Franchise in Dadar, Phonics Franchise in Parel, Phonics Franchise in Lower Parel, Phonics Franchise in Matunga, Phonics Franchise in Sahar, Phonics Franchise in Andheri, Phonics Franchise in Juhu, Phonics Franchise in vIle parel, Phonics Franchise in Thane West, Phonics Franchise in kalian, Phonics Franchise in east, Phonics Franchise in west, Phonics Franchise in south, Phonics Franchise in north, Phonics Franchise in central, Phonics Franchise in Pokhran Road no 2, Phonics Franchise in Pokhran road, Phonics Franchise in Hiranandani estate, Phonics Franchise in vartak nagar, Phonics Franchise in hiranandani meadows, Phonics kids, phonics for kids, phonics smart, phonics kingdowm, jolly phonics certified trainer, phonetics classes in, Phonics books, phonics workbooks, phonics worksheets, phonics videos, phonics songs, phonics youtube, phonics by phone, audio phonics course, phonics training online, phonics international, jolly learning online course, Phonics lessons, Phonics Franchise in Guwahati, Phonics Franchise in Kohima, Phonics Franchise in Imphal, Phonics Franchise in Aizawl, Phonics Franchise in Agartala, Phonics Franchise in Itanagar, Phonics Franchise in Gangtok, Phonics Franchise in Shillong, Phonics Franchise in Silchar, Phonics Franchise in Dibrugarh, Phonics Franchise in Jorhat, Phonics Franchise in Nagaon, Phonics Franchise in Tinsukia, Phonics Franchise in Tezpur, Phonics Franchise in Bongaigaon, Phonics Franchise in Digboi, Phonics Franchise in Kokrajhar, Phonics Franchise in Assam, Phonics Franchise in Sikkim, Phonics Franchise in Meghalaya, Phonics Franchise in Arunachal Pradesh, Phonics Franchise in Manipur, Phonics Franchise in Shimla, Phonics Franchise in Mnaali, Phonics Franchise in Dharamshala, Phonics Franchise in Kulu, Phonics Franchise in Himachal Pradesh, Phonics Franchise in Dehradun, Phonics Franchise in Rudrapur, Phonics Franchise in Nainital, Phonics Franchise in Mussoorie, Phonics Franchise in Roorkee, Phonics Franchise in Haridwar, Phonics Franchise in Haldwani, Phonics Franchise in Almora, Phonics Franchise in Uttarakhand, Phonics Franchise in Bhopal, Phonics Franchise in Raipur, Phonics Franchise in Bhilai, Phonics Franchise in Indore, Phonics Franchise in Jabalpur, Phonics Franchise in Gwalior, Phonics Franchise in Durg, Phonics Franchise in Ujjain, Phonics Franchise in Ratlam, Phonics Franchise in Sagar, Phonics Franchise in Rewa, Phonics Franchise in Dewas, Phonics Franchise in Satna, Phonics Franchise in Guna, Phonics Franchise in Singrauli, Phonics Franchise in Madhya Pradesh, Phonics Franchise in Jaipur, Phonics Franchise in Jodhpur, Phonics Franchise in Udaipur, Phonics Franchise in Jaisalmer, Phonics Franchise in Ajmer, Phonics Franchise in Tonk, Phonics Franchise in Kota, Phonics Franchise in Rajasthan, Phonics Franchise in Asansol, Phonics Franchise in Burdwan, Phonics Franchise in Siliguri, Phonics Franchise in Darjeeling, Phonics Franchise in Durgapur, Phonics Franchise in Howrah, Phonics Franchise in Medinipur, Phonics Franchise in Bardhaman, Phonics Franchise in Jalpaiguri, Phonics Franchise in Dankuni, Phonics Franchise in Haldia, Phonics Franchise in Kharagpur, Phonics Franchise in West Bengal, Phonics Franchise in Mangalore, Phonics Franchise in Hubli, Phonics Franchise in Udupi, Phonics Franchise in Mandya, Phonics Franchise in Whitefield, Phonics Franchise in Indra Nagar, Phonics Franchise in BTM Layout, Phonics Franchise in Karnataka, Phonics Franchise in Salem, Phonics Franchise in Madurai, Phonics Franchise in Kanyakumari, Phonics Franchise in Tamil Nadu, Phonics Franchise in Vadodara, Phonics Franchise in Surat, Phonics Franchise in Gandhinagar, Phonics Franchise in Navsari, Phonics Franchise in Anand, Phonics Franchise in Gujarat, Phonics Franchise in Bhubaneswar, Phonics Franchise in Cuttack, Phonics Franchise in Rourkela, Phonics Franchise in Sambalpur, Phonics Franchise in Berhampur, Phonics Franchise in Talcher, Phonics Franchise in Angul, Phonics Franchise in Bhadrak, Phoncis class in Balasore, Phonics Franchise in Puri, Phonics Franchise in Baripada, Phonics Franchise in Paradip, Phonics Franchise in Barbil, Phonics Franchise in Nayapally, Phonics Franchise in Odisha, Phonics Franchise in Patna, Phonics Franchise in Gaya, Phonics Franchise in Begusarai, Phonics Franchise in Barauni, Phonics Franchise in Darbhanga, Phonics Franchise in Purnea, Phonics Franchise in Bhagalpur, Phonics Franchise in Bihar, Phonics Franchise in Ranchi, Phonics Franchise in Dhanbad, Phonics Franchise in Hazaribagh, Phonics Franchise in Bokaro, Phonics Franchise in Sindri, Phonics Franchise in Jamshedpur, Phonics Franchise in Chas, Phonics Franchise in Giridih, Phonics Franchise in Deoghar, Phonics Franchise in Jharia, Phonics Franchise in Chasnala, Phonics Franchise in Jharkhand, Phonics Franchise in Vijayawada, Phonics Franchise in Warangal, Phonics Franchise in Andhra Pradesh, Phonics Franchise in Cochin, Phonics Franchise in Calicut, Phonics Franchise in Trivandrum, Phonics Franchise in Ernakulam, Phonics Franchise in Alleppey, Phonics Franchise in Trichur, Phonics Franchise in Palghat, Phonics Franchise in Kozhikode, Phonics Franchise in Kerala, Phonics Franchise in Faridabad, Phonics Franchise in Panipat, Phonics Franchise in Ambala, Phonics Franchise in Amritsar, Phonics Franchise in Rohtak, Phonics Franchise in Panchkula, Phonics Franchise in Faridabad, Phonics Franchise in Manesar, Phonics Franchise in Rewari, Phonics Franchise in Haryana, Phonics Franchise in Kanpur, Phonics Franchise in Lucknow, Phonics Franchise in Allahabad, Phonics Franchise in Ghaziabad, Phonics Franchise in Varanasi, Phonics Franchise in Meerut, Phonics Franchise in Agra, Phonics Franchise in Mathura, Phonics Franchise in Aligarh, Phonics Franchise in Moradabad, Phonics Franchise in Sonbhadra, Phonics Franchise in Renukoot, Phonics Franchise in Rampur, Phonics Franchise in Hapur, Phonics Franchise in Jhansi, Phonics Franchise in Gorakhpur, Phonics Franchise in Bareilly, Phonics Franchise in Etawah, Phonics Franchise in Uttar Pradesh, Phonics Franchise in Panaji, Phonics Franchise in Margao, Phonics Franchise in Mapusa, Phonics Franchise in Ponda, Phonics Franchise in Vasco, Phonics Franchise in Goa, Phonics Franchise in Daman, Phonics Franchise in Diu, Phonics Franchise in Silvassa, Phonics Franchise in Vapi, Phonics Franchise in Vasai, Phonics Franchise in Valsad, Phonics Franchise in Puducherry, Phonics Franchise in Pondicherry, Phonics Franchise in Jammu, Phonics Franchise in Srinagar, Phonics Franchise in Katra, Phonics Franchise in Leh, Phonics Franchise in Ladakh, Phonics Franchise in Katra, Phonics Franchise in Kathmandu, Phonics Franchise in Pokhara, Phonics Franchise in Dhaka, Phonics Franchise in Chittagong, Phonics Franchise in Biratnagar, Phonics Franchise in Birgunj, Phonics Franchise in Dharan, Phonics Franchise in Bharatpur, Phonics Franchise in Janakpur, Phonics Franchise in Nepal, Phonics Franchise in Colaba, Phonics Franchise in South Delhi, Phonics Franchise in South Mumbai, Phonics Franchise in Dadar, Phonics Franchise in Bandra, Phonics Franchise in Andheri, Phonics Franchise in Borivli, Phonics Franchise in Kandivli, Phonics Franchise in Malad, Phonics Franchise in Mira Road, Phonics Franchise in Mulund, Phonics Franchise in Bhandup, Phonics Franchise in Kanjurmarg, Phonics Franchise in Vikhroli, Ghatkopar, Phonics Franchise in Kurla, Phonics Franchise in Kharghar, Phonics Franchise in Nerul, Phonics Franchise in Panvel, Phonics Franchise in Navi Mumbai, Phonics Franchise in Vashi, Phonics Franchise in Airoli, Phonics Franchise in Chinchwad, Phonics Franchise in Dombivli, Phonics Franchise in Kalyan, Phonics Franchise in Pimpri. Phonics Franchise Program in Bangalore, Phonics Franchise Program in Belgaum, Phonics Franchise Program in Dharwad, Phonics Franchise Program in Palghar , Phonics Franchise Program in Chennai, Phonics Franchise Program in Thanjavur, Phonics Franchise Program in Madurai, Phonics Franchise Program in Kalimpong, Phonics Franchise Program in Indore, Phonics Franchise Program in Siliguri, Phonics Franchise Program in Mumbai, Phonics Franchise Program in Pune, Phonics Franchise Program in Aurangabad, Phonics Franchise Program in Goregaon, Phonics Franchise Program in Bandra, Phonics Franchise Program in Jogeswari, Phonics Franchise Program in Bhayander, Phonics Franchise Program in Versova, Phonics Franchise Program in Vile Parle, Phonics Franchise Program in Girgaon, Phonics Franchise Program in Churchgate, Phonics Franchise Program in Marine Lines, Phonics Franchise Program in Chembur, Phonics Franchise Program in Anushakti Nagar, Phonics Franchise Program in Govandi, Phonics Franchise Program in Sakinaka, Phonics Franchise Program in Sion, Phonics Franchise Program in Antop Hill, Phonics Franchise Program in Kalina, Phonics Franchise Program in South Mumbai, Phonics Franchise Program in Delhi, Phonics Franchise Program in Rajkot, Phonics Franchise Program in Gandhinagar, Phonics Franchisee Program in Bangalore, Phonics Franchisee in Belgaum, Phonics Franchisee in Dharwad, Phonics Franchisee in Palghar , Phonics Franchisee in Chennai, Phonics Franchisee in Thanjavur, Phonics Franchisee in Madurai, Phonics Franchisee in Kalimpong, Phonics Franchisee in Indore, Phonics Franchisee in Siliguri, Phonics Franchisee in Mumbai, Phonics Franchisee in Pune, Phonics Franchisee in Aurangabad, Phonics Franchisee in Goregaon, Phonics Franchisee in Bandra, Phonics Franchisee in Jogeswari, Phonics Franchisee in Bhayander, Phonics Franchisee in Versova, Phonics Franchisee in Vile Parle, Phonics Franchisee in Girgaon, Phonics Franchisee in Churchgate, Phonics Franchisee in Marine Lines, Phonics Franchisee in Chembur, Phonics Franchisee in Anushakti Nagar, Phonics Franchisee in Govandi, Phonics Franchisee in Sakinaka, Phonics Franchisee in Sion, Phonics Franchisee in Antop Hill, Phonics Franchisee in Kalina, Phonics Franchisee in South Mumbai, Phonics Franchisee in Delhi, Phonics Franchisee in Rajkot, Phonics Franchisee in Gandhinagar, Thanks for your co-operation.Phonics classes / courses / workshops to be conducted by Phonics eStore franchisee, in alignment with Phonics eStore only. Most programs will be structured - local flexibility will be permitted after due consideration. This is also for the attention of all who want to do something of their own across locations - without investing money. You can send us details about yourself and we will revert to you. Skill India. Digital India. Phonics India. Thanks for your co-operation.